Originally a native of Chicago, Emma Steele performs both nationally and internationally as a soloist and as part of chamber ensembles. Favorite past performances have been in venues such as Orchestra Hall in Chicago, Carnegie Hall in New York, The Rudolfinum Concert Hall in Prague, and Finlandia Hall in Helsinki. Steele currently holds position as one of the concertmasters of the Royal Danish Opera Orchestra (Det Kongelige Kapel) in Copenhagen. 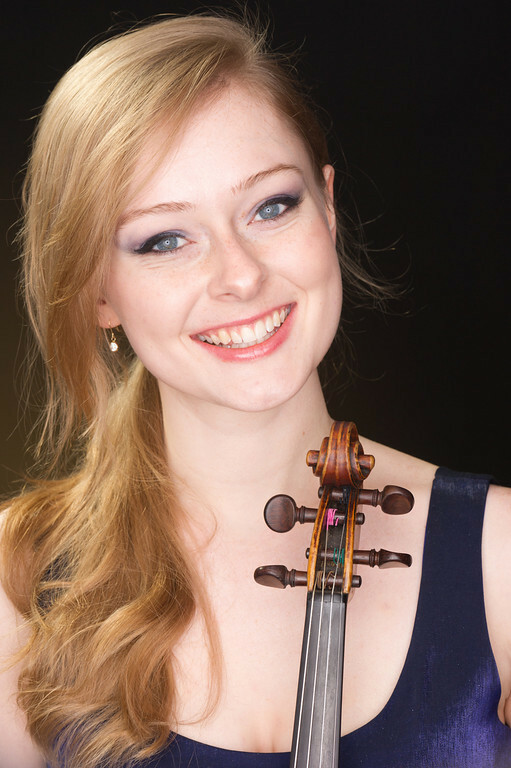 Steele has participated and won awards in many competitions, including in the Sibelius International Violin Competition where she became a finalist and received the Young Talent Prize. She has also received the National Foundation for Advancement in the Arts Silver Award, the WAMSO Elaine Louise Lagerstrom Memorial Violin Award, and a study grant from the International Pablo de Sarasate Violin Competition 2009. She also became a finalist and Silver Prize winner in the prestigious Irving M. Klein International String Competition 2012 in San Francisco. An avid chamber musician, she has performed on From the Top and multiple WFMT radio shows including Introductions and the Dame Myra Hess Concert Series. As part of the Violin Virtuosi, she was featured in the PBS documentary, Circling Around: The Violin Virtuosi. Steele’s first place awards include the Walgreens, Society of American Musicians Young Artist Division, Chinese Fine Arts Society, Musicians Club of Women, and Union League Civic and Arts Foundation competitions. She has soloed with the Helsinki Philharmonic Orchestra, the Finnish Radio Symphony Orchestra, the Polish Radio Amadeus Chamber Orchestra, the Chicago Youth Concert Orchestra, the Chicago Youth Symphony Orchestra, the Northwest Symphony Orchestra and the Carnegie Mellon Philharmonic. She has a Bachelor’s degree from Carnegie Mellon University where she studied with Cyrus Forough, and continued her studies at the Curtis Institute of Music with Aaron Rosand.